Beyond Neptune, and just slightly closer to the Sun than Eris, is a solar system body designated as 2007 OR10. 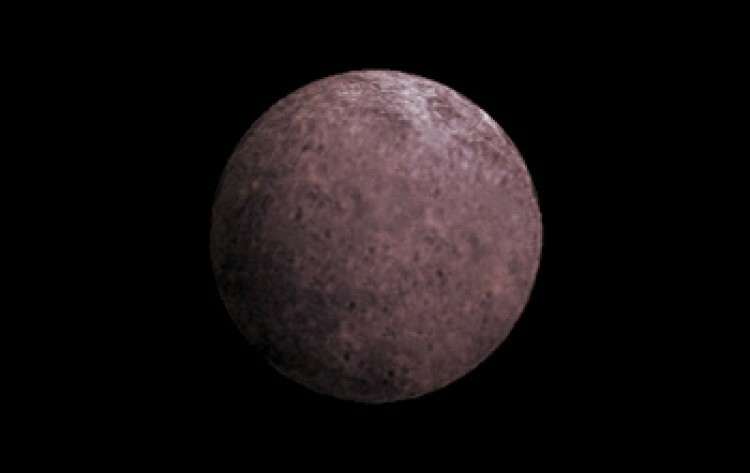 With a diameter of about 1200 km, it is the largest solar system body without an official name, but it has been given the nickname Snow White. Snow White is one of the reddest objects in the solar system, likely due to methane frost. Spectral analysis of the body shows the presence of both methane and water ice. The presence of water ice is possibly evidence of ice volcanic activity. Beyond that we don’t know much about the distant world. Even its size is only an estimate given its distance and apparent brightness.